After meeting Michael for the first time, I can’t help but think this is going to be fun. 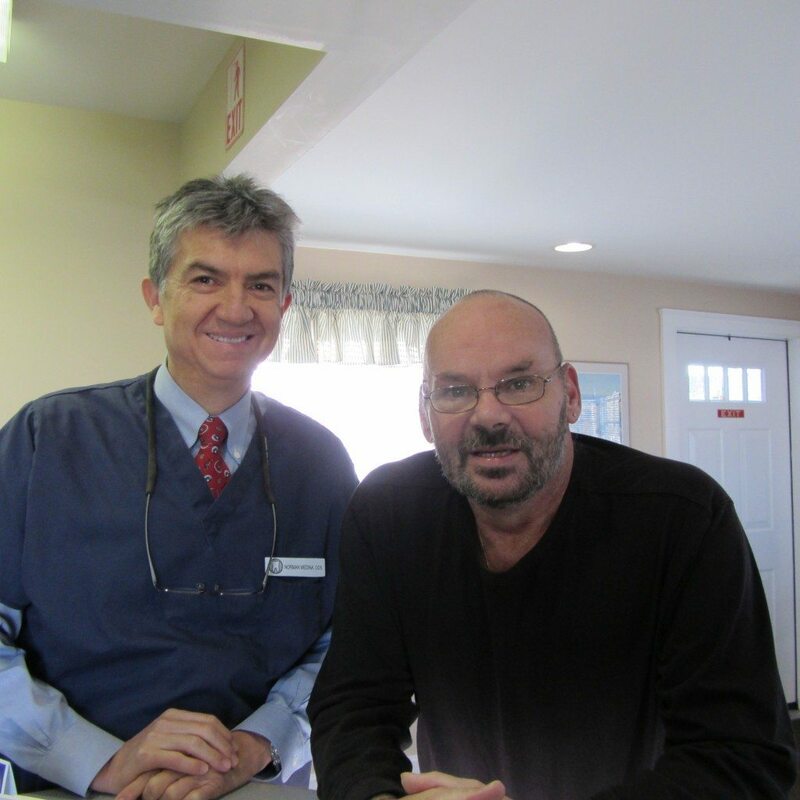 This is our first visit with Mike, and in the back of my mind I knew that I wanted to do a write up, a step-by-step journal with pictures on what it takes to make a new set of dentures. There are so many concerns and anxieties expressed about dentures, and we’ve been looking for a way to share the process; dispel the fears and anxieties; and answer the many questions about dentures. 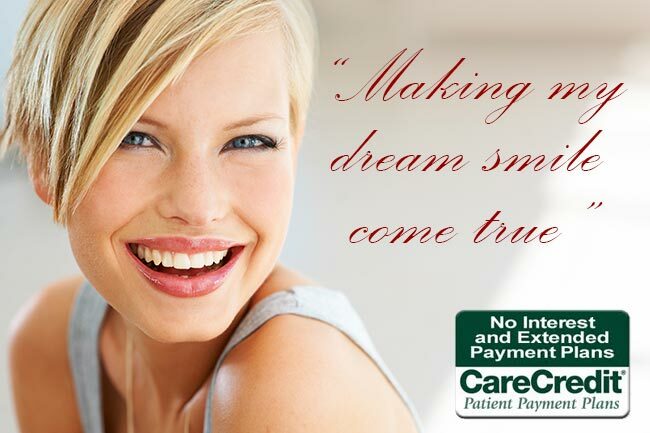 But if we are to share this with our Internet friends, I wanted to work with an ideal denture candidate. What, you might ask, makes an ideal denture candidate? Every case is a bit different. If you would like to meet with us to discuss your options, and to discuss whether or not you are a good candidate for dentures, give us a call at (207) 236-4740. A few things that would make an ideal candidate for demonstration purposes are, first, a nice upper lip — it’s true! We love it when a patient has a good upper lip that can “hide” the denture. An ideal candidate also has a symmetry to his or her his upper and lower jaw bone; in some individuals, the upper jaw and lower jaw don’t line up, making denture fabrication doable but challenging. And finally, a patient who has had a denture in the past makes a good candidate because they know how to use dentures. When we first met Mike, I couldn’t help but chuckle — he was so perfect and, to boot, he had that manly stubble! Mike was a good-looking man before we started, so we think that after we give him a new set of teeth, the sky is the limit … so it’s time to get busy! 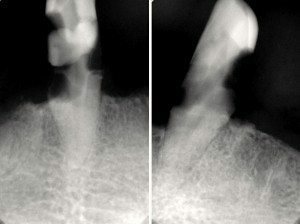 These X-rays show teeth No. 22 and 27. The first time I looked into Mike’s mouth, there were only two lower teeth. These two teeth were solid; i.e., they didn’t move around. I remember thinking, maybe we can put two crowns on the two lower canines, then we can fabricate a lower partial denture that attaches to these two lower teeth. But then we saw the X-rays, which revealed the two teeth were too far gone. At this point the best thing would be to have them removed. That decision having been made, everything else looks great so we discussed the details with Mike, explored what options are available and made plans for our next visit. 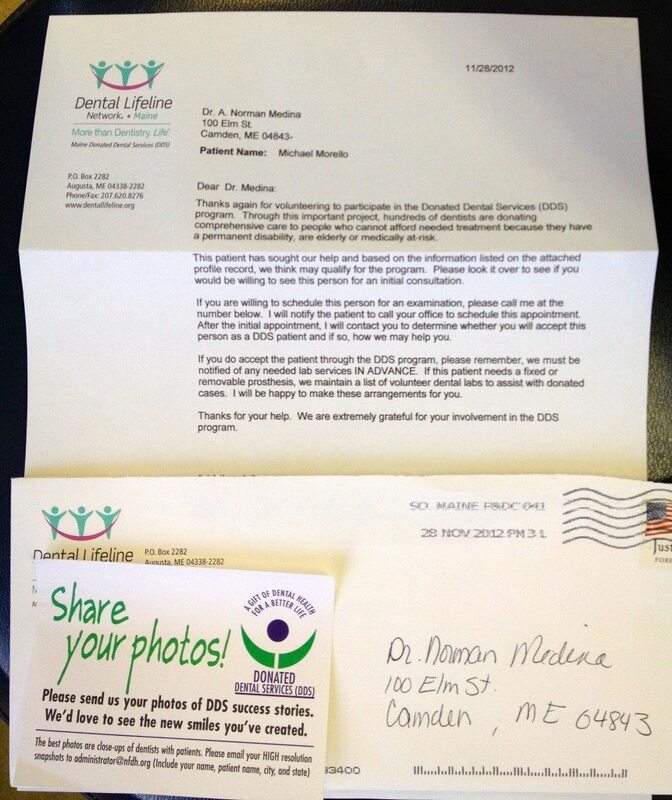 The Letter from Dental Lifeline Network that started it all. Thanks again for volunteering to participate in the Donated dental Services (DDS) program. Through this important project, hundreds of dentists are donating comprehensive care to people who cannot afford needed treatment because they have a permanent disability, are elderly or medically at risk. This patient has sought our help and based on the information listed on the attached profile record, we think may qualify for the program. Please look it over to see if you would be willing to see this person for an initial consultation. If you are willing to schedule this person for an examination, please call me at the number below. 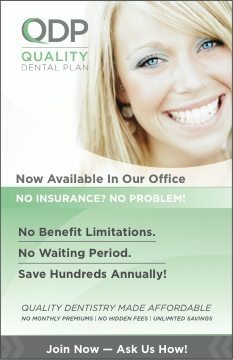 I will notify the patient to call your office to schedule this appointment. After the initial appointment, I will contact you to determine whether you will accept this person as a DDS patient and if so, how we may help you. If you do accept the patient through the DDS program, please remember, we must be notified of any needed lab services IN ADVANCE. If this patient needs a fixed or removable prosthesis, we maintain a list of volunteer dental labs to assist with donated cases. I will be happy to make these arrangements for you. Thanks for your help. We are extremely grateful for your involvement in the DDS program.